Super easy Cajun Alfredo. 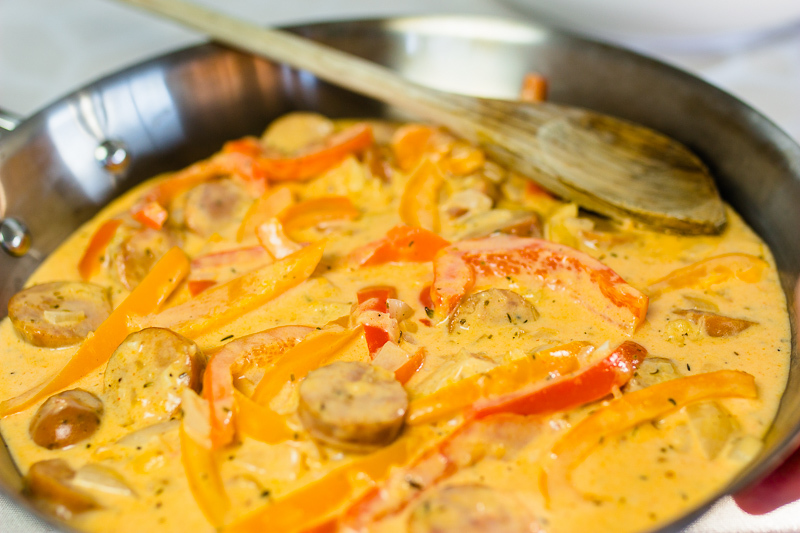 It's good for the whole family and has a little bit of a kick for when you don't want an ordinary weekday meal! It’s been a little less than a week since I’ve gotten to Surlingham. Braedon has been severely sick this week, so I haven’t been able to really do anything other than take care of him. Today I’m going to see my best friend outside of London. I am so excited! I haven’t seen her in over a year! Gareth and I just got back from a pub that was built in the 1700s! Wait for Friday to hear more about it! I feel weird not promoting the blog very much this week and my readership has gone down a lot, but oh well, everyone needs a break, right? Since everyone needs a break I decided to share with you guys my favorite recipe ever. The first time that I ever had anything like this I was visiting a cajun restaurant in Waco. I was probably 17 and from that moment, I decided that food was what I really wanted to do. Not law, not speech, not being a doctor, not anything that I had ever said that I wanted to be. I wanted to do food. Over the years I have really perfected it, but it is still the same cheesy goodness that it always has been. Add onions, hot sauce, bell peppers, and seasonings, simmer for another 10-15 minutes. 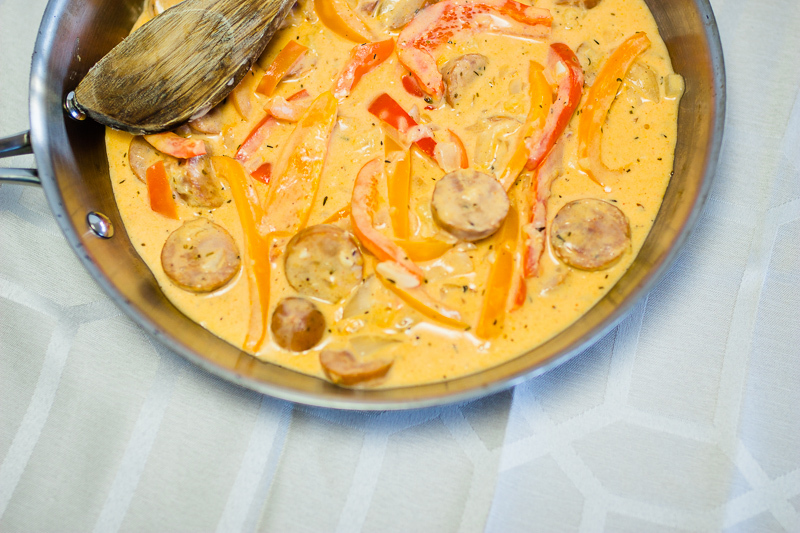 Share and save this awesome Cajun Alfredo recipe! Follow me on Instagram, Twitter, and Facebook for more fun recipes and photos! Follow me on Snapchat for day to day updates and videos of what’s going on! What is something that you want to see me post this week?